Composite resin is a white, tooth colored material that can be shaded to match your teeth. 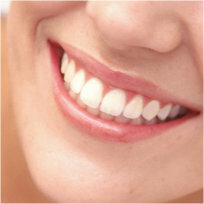 This material is applied to your teeth and sculpted to cover or replace the problem area. The material bonds to the surface of your teeth like a glue. It is often “cured” or hardened with an intense ultraviolet light.